Some users of the Samsung Galaxy S8, 8+ and Note 8 have seen a new stock beta OS for their phones. This ROM, which is installed by way of joining the OEM's Beta Program, updates the 2017 devices to Android 9.0 (Pie) and the new One UI. This may be an important milestone to official stable Pie on this generation of flagships. 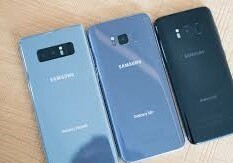 The Galaxy Note 8, S8 and S8 Plus are the latest Samsung devices to be associated with new official stock betas. They upgrade the phones in question to Android Pie (or 9) and to the latest in official OEM interfaces, One UI. This overlay differs from Samsung Experience in that it concentrates on displaying content while keeping actionable screen elements in the user's reach. However, the new beta has been reported as available in certain countries only. The new betas are available for download following an application to join the One UI Beta Program. This is accessed via the Samsung Members app found on stock Samsung Experience (the de facto ROM for the 2017 premium lines). However, the notification to download the new Note 8 beta has reportedly become available to members of this program in the UK, South Korea and India only so far. The analogous ROM for the S8-line has only appeared in India at the time of writing. Nevertheless, the presence of this beta is an important stepping-stone to the roll-out of fully-stable upgrades to One UI and Pie for users of these SKUs worldwide. Currently, this update for all three device types is scheduled for March 2019. The favorable reception of this beta and its functionality will help keep these plans of Samsung's on track. On the other hand, those who run the new ROMs should also be aware that betas may exhibit fractured stability and unexpected losses of functionality at times.